← Thank you Love the Day! 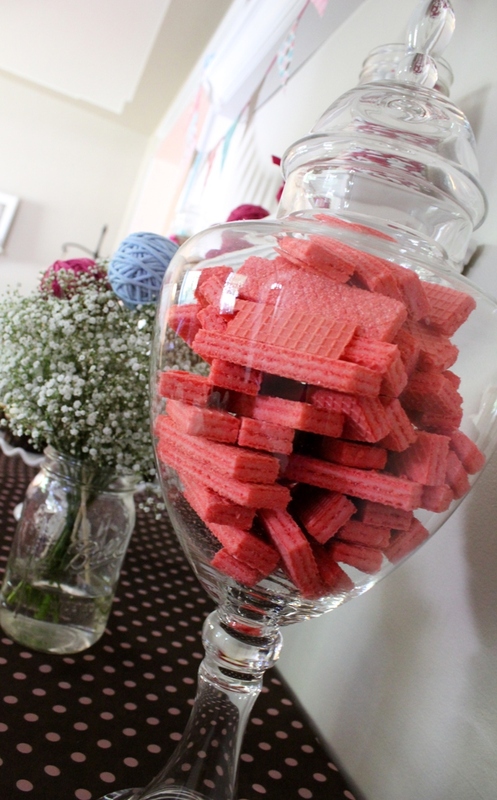 I truly cannot believe it’s taken me so long to post this party that I absolutely loved doing! 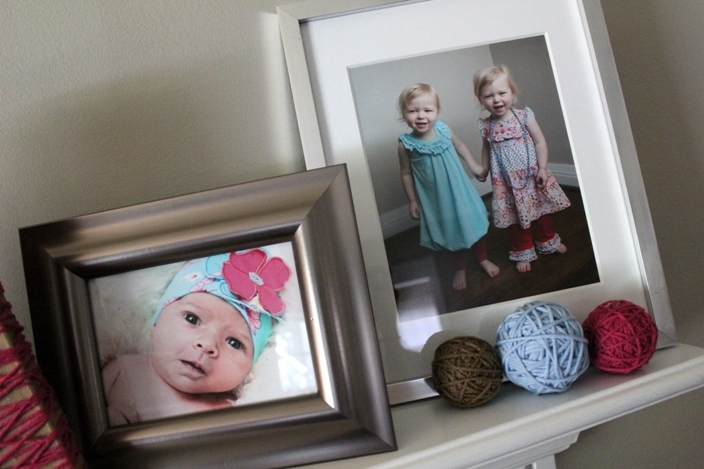 Good friends of our’s had their third daughter (they also have almost three year-old twin girls!) 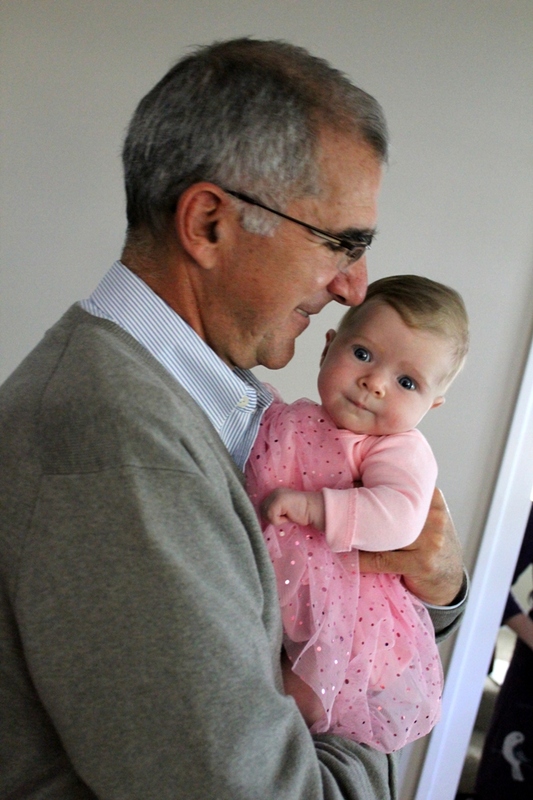 earlier this year and asked me to help plan a Sip & See to welcome baby Isla into the family. 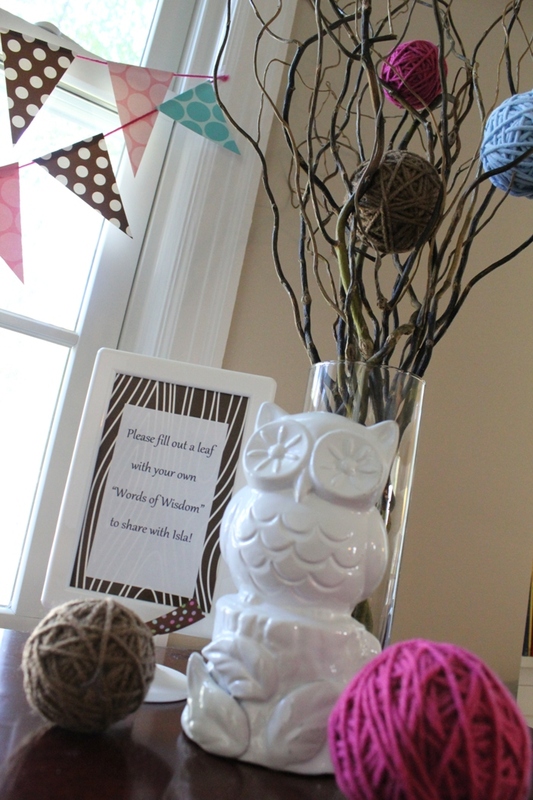 I was beyond excited when they chose an owl theme to coordinate with the nursery bedding – I’ve been crushing on owl parties and was thrilled to have an excuse to hunt for one to add to my decor! 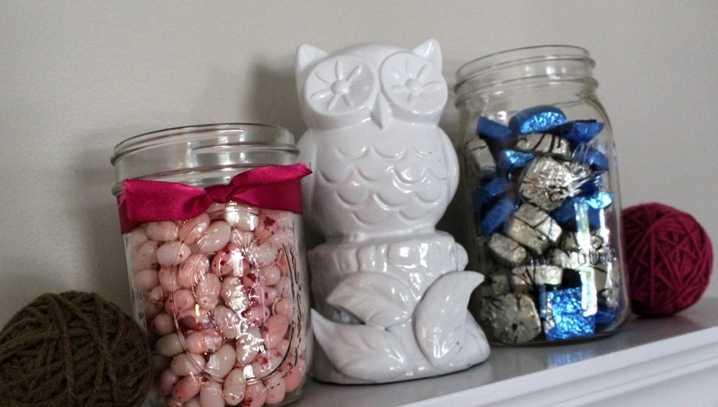 The Owl theme was chosen from Isla’s nursery bedding, Brooke from Pottery Barn for Kids. The bedding features owls and trees in raspberry pink, brown and aqua blue. 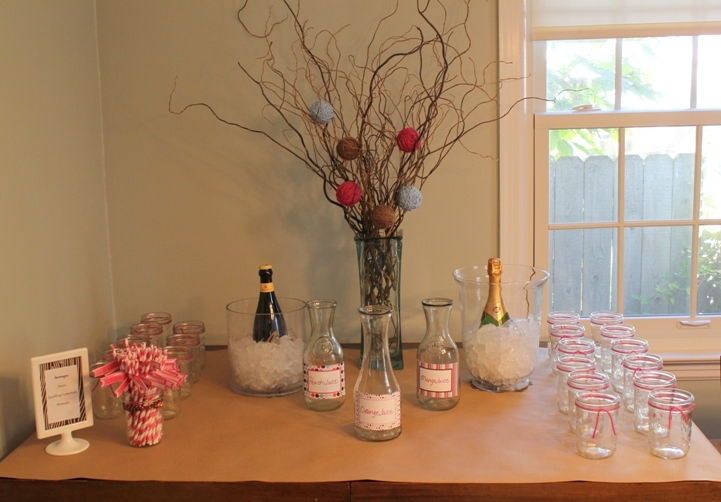 We decided to have an open house on a Sunday afternoon with a mimosa bar and dessert table. 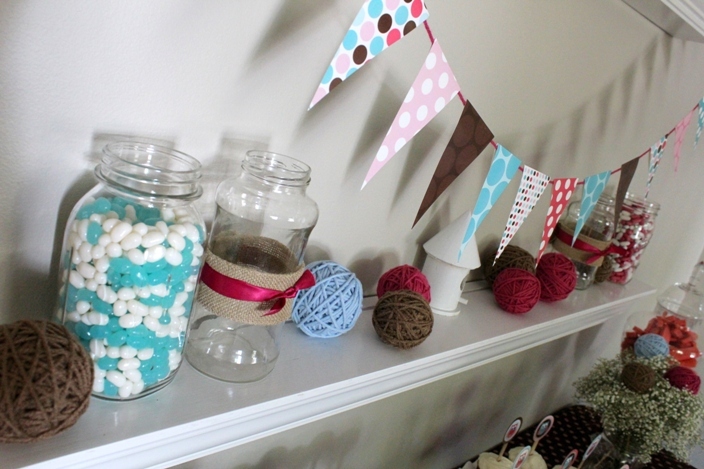 But of course my favorite part to plan are the decor details! 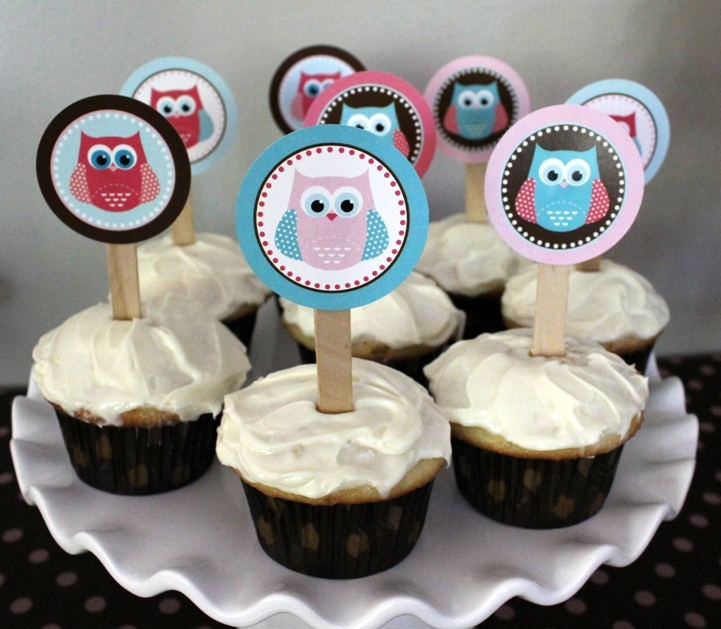 I found two ceramic owls (originally a dark green – which clearly wouldn’t work for this party!) that Mr. Lemon spray painted white to match the rest of the decor. 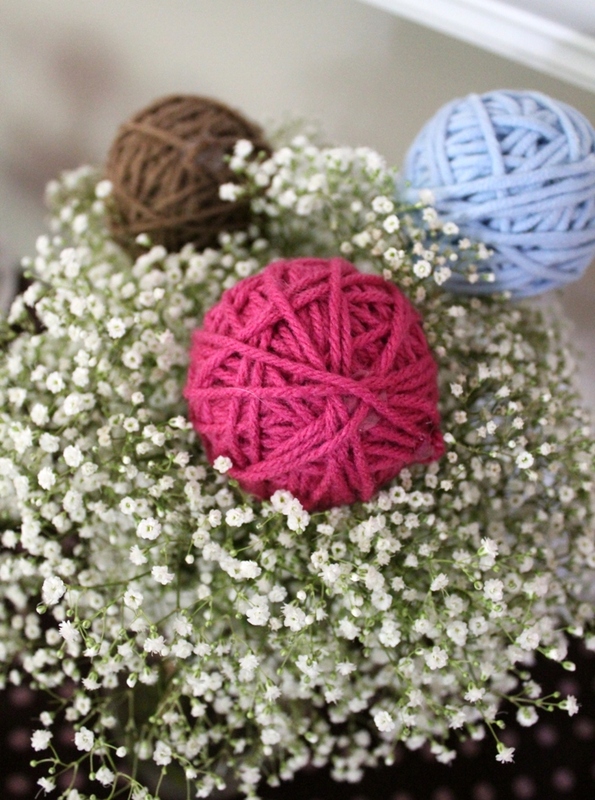 I also made LOTS of yarn balls for a soft addition to the baby’s breath and curly willow arrangements…and then I tucked them just about everywhere! 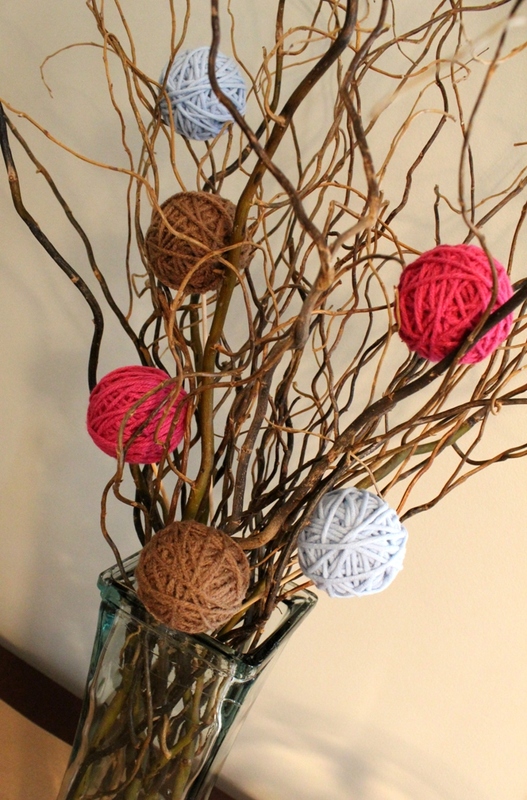 The yarn balls were a particular favorite for the twin girls, who spent quite some time playing catch with them! 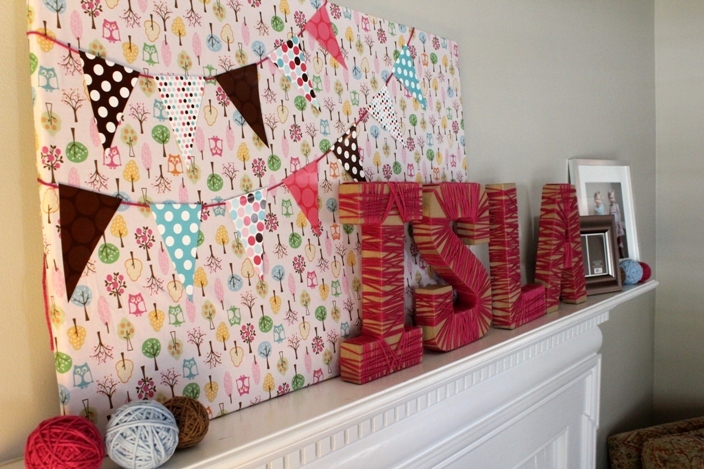 A sheet from the crib bedding set worked perfectly to cover a large canvas on the mantel, along with yarn covered “Isla” letters and framed photos of all three of the girls (their recent photo shoot matched the party perfectly!). 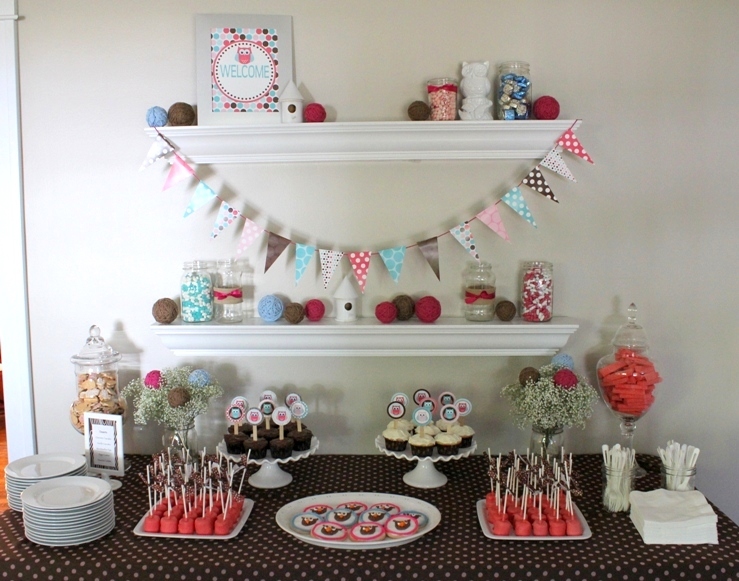 The dessert bar featured owl cookies from a local bakery, cupcakes, marshmallow pops, animal cookies, strawberry wafer cookies and assorted candy. We also included a “Words of Wisdom” table for people to write their advice for Isla on a leaf. 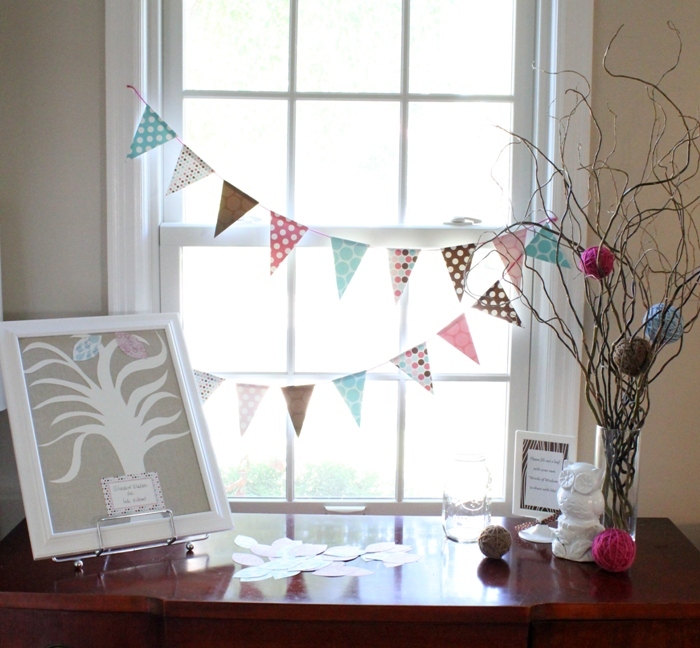 The leaves will all be added onto a framed tree as a keepsake for her (idea from Styleberry). 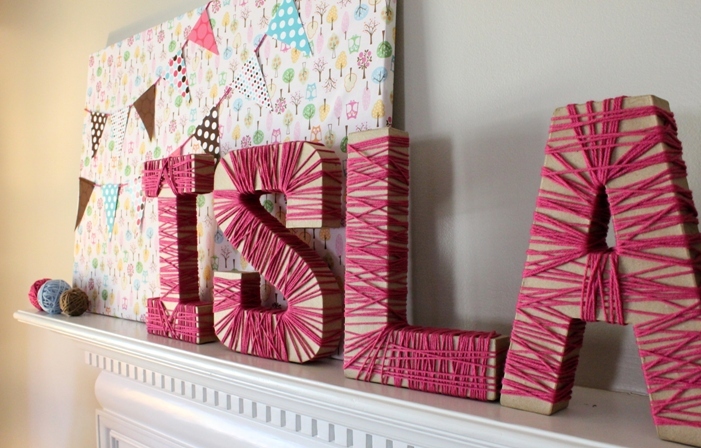 This was such a fun party to plan and it was wonderful watching the family meet Isla for the first time! 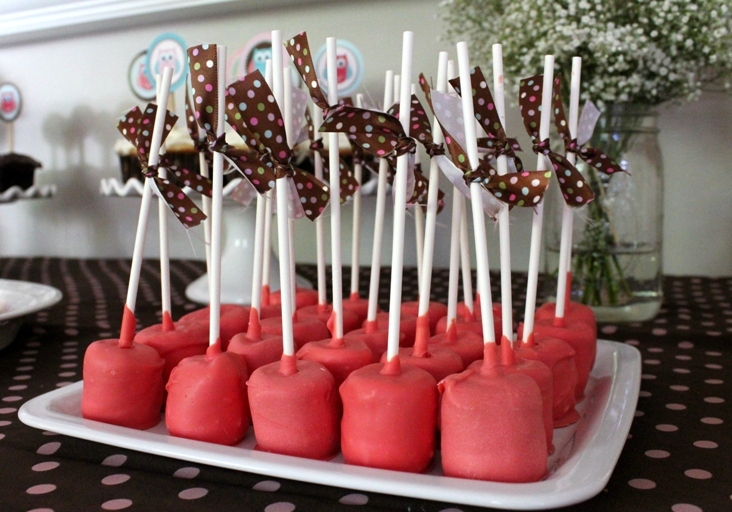 This entry was posted in Event Portfolio and tagged baby shower, blue, dessert bar, pink. Bookmark the permalink. Oh my gosh this is so cute. 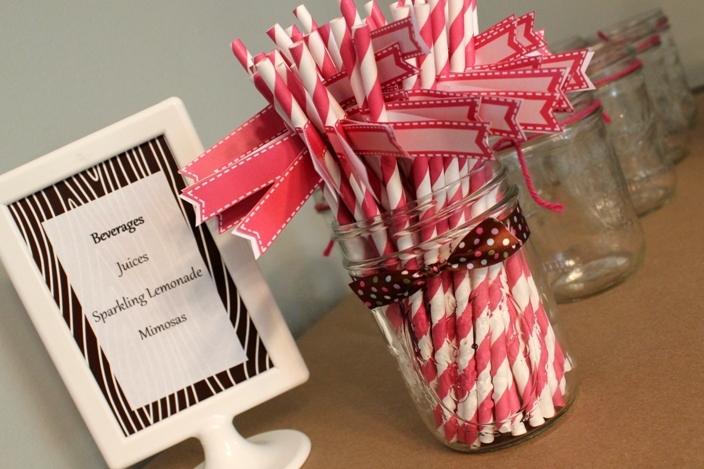 Can I feature your party over at our blog? so sweet! i love owls, too! I really love the Words of Wisdom idea. That’s super cute! Thanks! I was very excited to find that idea and re-use it!